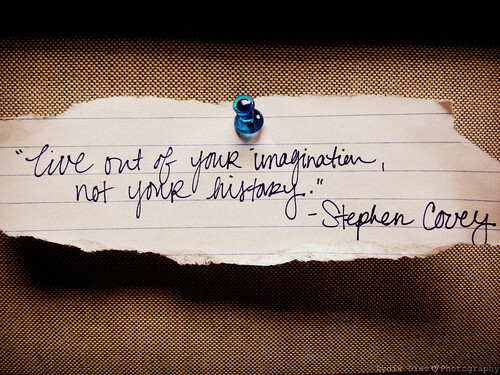 It is Day 20 into the challenge and the prompt is “Use all or part of this quote in your haiku: “Live out of your imagination, not your history” What a wonderful quote by Dr.Stephen R.Covey! Learn from your mistakes. Move on. Awesome! I love the second the most. You did well. The theme was well used. Very nice set for the prompt, Vidya. Thank you for sharing! Here is my Day 20. Nice! The first one is a pearl of wisdom. So beautifully crafted! I like how this starts with an injunction: “Shelve your history.” I will! This was a marvelous Haiku! A pleasure, dear Angela! I am so happy you came by! “conquer the future” is my favorite. All are special. Vidya you have created a beautiful post here.. Thanks.. I loved the concept of ‘Metamorphosis” created here.. SmileS. Beautiful set. I like that you don’t have a total disregard for the past, but a learning from the past. Ah, Terri, thank you for your comment. I believe our past can define us in many ways and it is up to us to take learning points from it! This is a beautiful progression in regard to transformation. Nice! Thank you, dear Valli. Such sweet words! Excellent advice and very inspiring. Thank you, Unknown Mami, I respect my past very much, while I enjoy the present and look forward to the future! I love this one Vidya! So often we let our past dictate our future simply because it’s the comfort zone that we’ve created for ourselves. It’s so important to push past this a little each day if we want to create the amazing future that awaits us! Yes, Paige, you’re right. Life would be so mediocre if we did not stretch ourselves. Thank you for stopping by! Dear Kim, thank you so much. Hugs to you! Ah, that quote–I love it! Great job putting the words into haiku action. Oh, thank you, Lisa. Your words mean much to me! 🙂 It is an inspiring quote, isn’t it? Thank you, Tess! Really appreciate your visit! Forget the spilled milk and learn from the past.